Jack Gibson’s parents were George and Jessie Gibson (née Aitken) of the Brisbane suburb of Taringa. At the age of 26 years and 5 months Jack enlisted on 3 June 1915 to serve with the Australian Imperial Force. He was of slight build, 5 feet 4½ inches (163.8 cm) tall and weighed 136 lbs (61.7 kg). He had a fresh complexion, grey eyes, brown hair and gave his religious denomination as Presbyterian. The officer certifying his fitness to serve in the military forces noted his broken nose and scar on his left shin, perhaps the results of his work as a farm hand. Private Gibson was attached to C Company, 25th Australian Infantry Battalion. 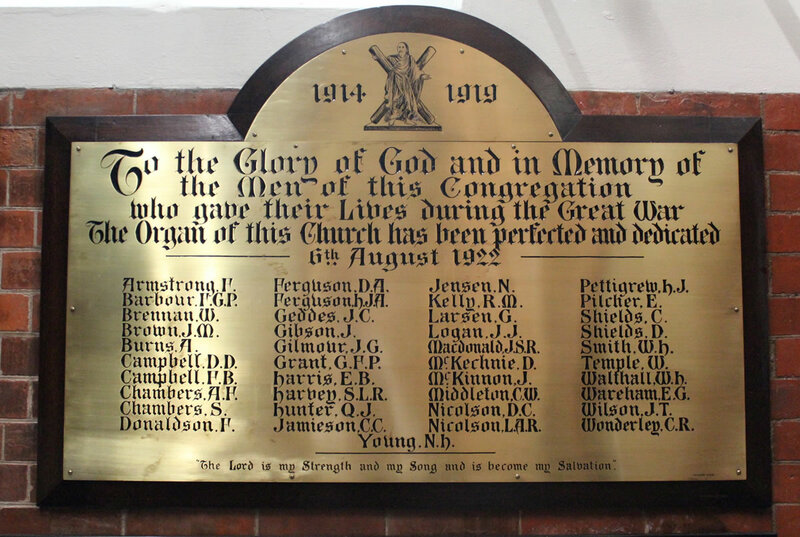 The battalion left Australia in early July, trained in Egypt during August and by early September was manning trenches at Gallipoli Peninsula. He survived the final months of the Gallipoli campaign but after the evacuation he was transferred by hospital ship to Mudros with frostbite on his feet. His injuries required further treatment at Ghezireh Australian General Hospital in Cairo throughout January 1916. On discharge he rejoined his battalion then training at Ismailia on 4 February 1916. The 25th proceeded to join the British Expeditionary Force from Alexandria, Egypt on 4 March, arriving at Marseilles, France on 19 March. It was the first AIF battalion to arrive at the Western Front in France. Private Gibson’s service card records he was absent from a tattoo roll-call on 2 July 1916. Military discipline is severe and Jack Gibson was awarded 168 hours Field Punishment Number 21 for his crime. After a spell in England from 17 July to 17 August, Private Jack Gibson returned to France to rejoin his battalion. The 25th, now fighting as part of the 2nd Division, had been engaged in heavy fighting in the first major battle at Pozières in the course of which it suffered 785 casualties. By October, the 2nd Division was about to take part in battle again in the Somme Valley. The 25th Battalion took part in two attacks to the east of Flers, both of which floundered in the mud. The attacking waves of troops were sucked down by the cloying mud and thus, unable to keep up with their creeping artillery barrage, became easy targets for German machine-gunners and riflemen. The first Flers attack was launched on 5 November against trenches near Gueudecourt and “the Maze”. Both attacks managed to capture some of their objectives but were eventually forced to withdraw. Private Jack Gibson was killed in action under these atrocious conditions on 14 November 1916. Jack’s wallet, notebook, photo and letters were forwarded to his parents’ Taringa address on 19 October 1917. 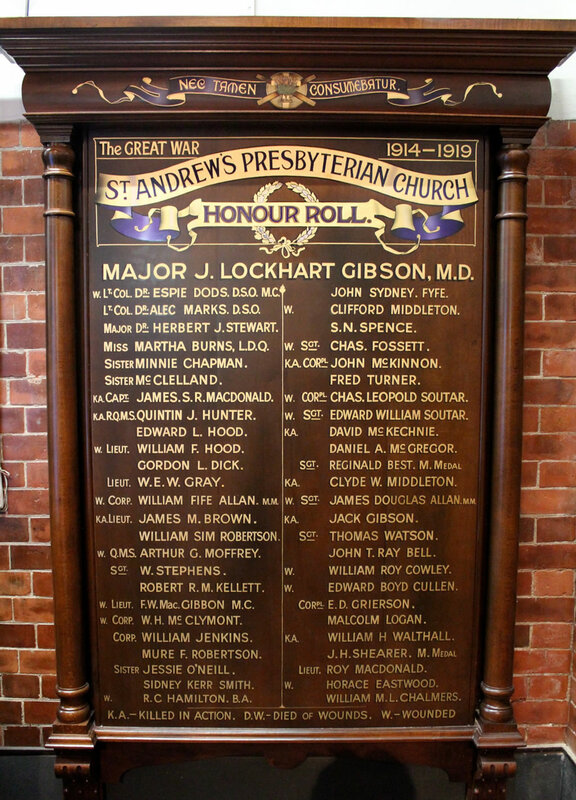 For his brave services in the First World War, Private John Gibson was awarded posthumously the 1914/15 Star, British War Medal and Victory Medal. 1 Field Punishment Number 1 consisted of the convicted man being shackled in irons and secured to a fixed object, often a gun wheel or something similar. He could only be thus fixed for up to 2 hours in 24, and not for more than 3 days in 4, or for more than 21 days in his sentence. This punishment was regarded as unfair due to its humiliating nature. Field Punishment Number 2 was similar except that the man was shackled but not fixed to anything. • John Oxley Library, State Library of Queensland, Soldier Portrait from the Queenslander Pictorial, 25 September 1915, Page 25.